My client work typically requires a lot of moving around during the shoot. So I pack my gear as lightly as possible. And when I saw the new Think Tank Spectral 10 shoulder bag, I thought it might be useful on location. I chose the Spectral 10 (the middle size of 3 models) because of its nimble dimensions (13.8" W x 10" H x 6.1" D - 35 x 25.5 x 15.5 cm) and light weight (2.2) pounds. Because the bag isn't too thick, it hugs my body nicely while working. This is important to me because I had bulky bags swinging around as I'm navigating a shoot. Inside I have my DSLR, backup body, two zooms, two primes, flash, and accessories. All of this fits wonderfully in the Spectral 10. Think Tank created a clever latch they call the Fidlock that enables on-handed access to your gear. And if you don't overpack the bag, it naturally locks when the flap goes down. This is very handy on location. Because then you can use the top handle as well as the shoulder strap to pickup the bag without worrying about spilling the contents. The Fidlock is also silent, so there's no embarrassing velcro noises on set. External pockets are kept to a minimum, retaining the slim design of the bag. There are lined sleeves for a tablet (up to 10") and a smartphone. A stretchy side pocket for your water, and a back pocket for paperwork, or in my case, a Rogue FlashBender. There's also a trolly sleeve on the back for sliding the bag over the extended handle of roller luggage. Inside is a zippered top that protects your gear during travel and inclement weather. The main compartment has plenty of dividers to organize camera bodies, lenses, and lighting. It's easy to grab my camera during the shoot, then secure it in the bag when I need my hands free. Accessories include a set of tripod attachment straps for the bottom, which is a waterproof tarpaulin base, by the way, and a separate rain cover. You can buy the Think Tank Spectral 10 directly from Think Tank for $119.75, a reasonable price tag for a stylish (great for client shoots), well designed, and easy to use shoulder bag. I worked a long assignment with it yesterday, and I was comfortable and organized the entire time. This one is a keeper. Kingston is off to a solid start with their new flash storage for iOS devices called The Bolt. 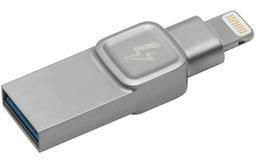 It's a thumb-sized gizmo with a Lightning connector on one end and USB 3 on the other. You can use it to offload videos and photos from your iPhone and iPad. The Bolt has its own app to control operations. It works best if you launch the app first, then insert the Bolt into the Lightning port. You're greeted with a nicely designed display showing the open storage available on both your iPhone and the Bolt itself. You can then transfer images or videos, capture directly to the Bolt, or view the content on the device. In theory, you should be able to share images directly from Photos and other apps to the Bolt, but my testing yielded inconsistent results. The best path at this early stage of development is to tap Transfer on the Bolt app, and choose from one of five options that include a full dump of images and videos, favorites only, or the one that I recommend, handpicking images for copying. At this point in its life cycle (version 1.2), I wouldn't wholeheartedly trust the Bolt as my sole backup. But in conjunction with other strategies, such as iCloud, it's very handy as an additional storage device for important RAW files and videos. Certainly it provides extra peace of mind when working in the field, especially if Internet connectivity isn't available. 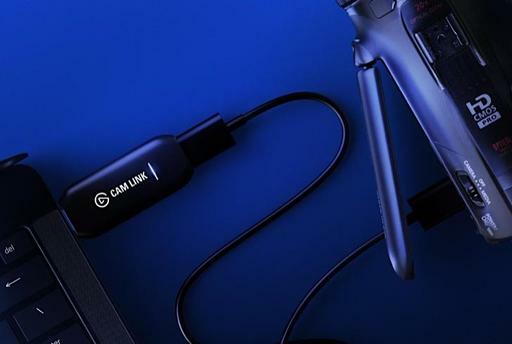 Plus, you can then plug it into your Mac via its USB 3 connector, and all of those images and movies can be dragged and dropped to your computer. I also set up a Transfer folder on the Bolt that allowed me to copy images and movies from the Mac that could be saved to my iOS devices. Content flows both ways with this device. 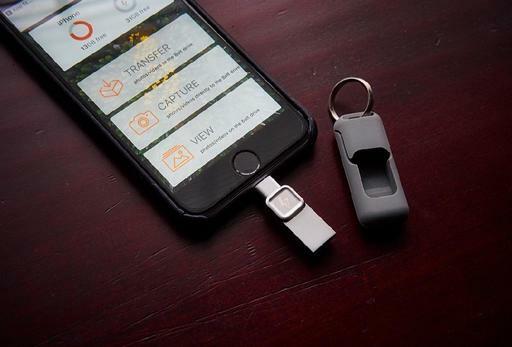 The Bolt is a handsome, compact, well-designed flash drive that provides another level of flexibility for mobile photographers. 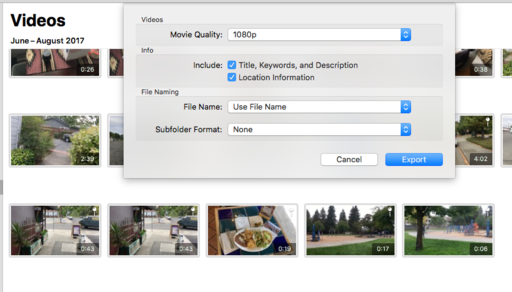 It's easy to move pictures and videos from Mac to iPhone and vice-versa, backup important movies and photos, and free up space on iOS devices in a pinch. Overall performance was stable, but I anticipate that it will improve with upcoming software updates. The rare few times the Bolt did stall, I simply unplugged it, then reinserted it, and all worked fine. I would also like to see more flexibility in the Transfer mode. Right now, we can choose from our Camera Roll. But I'd like to be able to navigate to specific Albums as well. The Bolt is available in with 64 GBs of storage for $89. There are also 32 GB models ($59) and 128 GBs for $119. I'm keeping mine on my keyring when I'm out about with my iPhone and mirrorless camera. The Bolt provides me with a little extra peace of mind for my important photos and movies. The Bolt has a high Nimbleosity Rating. What does that mean? You can learn about Nimbleosity and more by visiting TheNimblePhotographer.com. 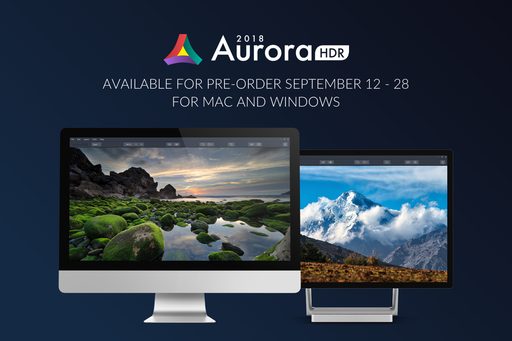 Aurora HDR 2018 is availabe for pre-order today, September 12, and will be released on September 28. And if you haven't followed the development of this highly versatile app, you many want to take a look now. Next-generation Tone Mapping - A new smart Tone Mapping algorithm automatically reduces noise, and produces more realistic and natural initial results. Mac and Windows versions share the same product key. Touch Bar support for Mac. IMPROVED: New Structure Algorithm - The re-developed Structure tool allows you to adjust detail and clarity of an image to get a classic HDR effect with great detail or a smoother effect with less details. IMPROVED: RAW handling - An improved RAW conversion brings out more details in shadows/highlights, displays colors more accurately and reduces noise in RAW files. IMPROVED: Crop tool update - Now specify custom crop sizes for even more versatility. 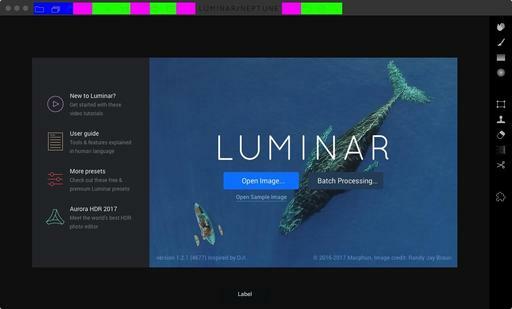 IMPROVED: Speed - Faster merging and masking performance, improvement in RAW image processing. You can preorder right now. The cost for current users of Aurora HDR is a special pre-order upgrade price of $49 ($59 MSRP). New users can purchase Aurora HDR 2018 at a special pre-order price of $89 ($99 MSRP). A collection of bonuses will also be included with every purchase. Even if you have a 64 GBs of storage on your handset, things can get a bit tight over time. My 2 year old iPhone 6S was down to 10 GBs of free space. With 12,000 photos, 134 videos, and tons of apps... no wonder the closet was getting full. On the photography front, I do use optimized photos to help manage space. The masters are in iCloud with the optimized versions on the device itself. 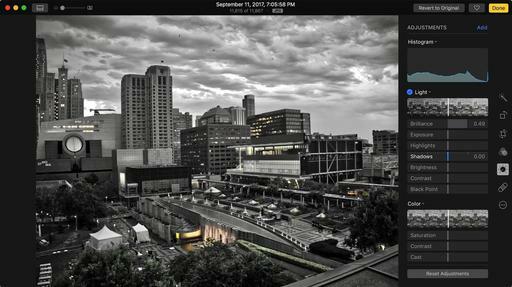 That really helps, especially for those instances when I shoot RAW with my iPhone. But videos are another matter. There isn't a user-controlled way to optimize their storage (that I've found). There does seem to be some magic happening under the hood, but it's hard to understand exactly what's going on. So I decided to do a little experimenting. I exported all of my videos out of the Photos library at 1080p, the same resolution that I had originally used to record them. I did include the Location information as well. First, I exported copies of all my video files out of Photos on my Mac to an external hard drive. This took a few minutes because there was 7.76 GBs of movie content. Much of this footage had already been incorporated into other projects, so it was safe to relocate it to my backup drives. Then, I rebooted my iPhone and checked the available memory in Settings (Settings > General > About). I hadn't regained any storage space, even after deleting the videos. I checked the Photos app on the phone, and the movies were gone, but no change in numbers. Rats! At this point, I tapped my ace in the hole. I had a software update waiting, iOS 10.3.3. I decided to run that to see if it would clean house on the iPhone. And indeed it did. I went from 10.25 GBs available to 13.59 GBs. That wasn't as much as I expected, but still quite an improvement. The bottom line is this: with a little persistence, you can recover storage space on your iPhone. I don't want to mess with my photos. I like having them available all the time. And optimized storage really helps me manage that. But the videos? They were low hanging fruit as far as I was concerned. I'm not exactly sure how I regained 3 GBs of storage on my iPhone. Some of it should have been the reduction in movies, maybe some of it from the software update, who knows for sure? What I have learned is that a little housekeeping usually yields positive results. And for now, I have a little more breathing room on my mobile device.